The month of Rabi' al-Awwal is the time in which the beloved Prophet Muhammad (peace be upon him) manifested onto this earth. His birth and life are celebrated by the entire universe, in every single moment. 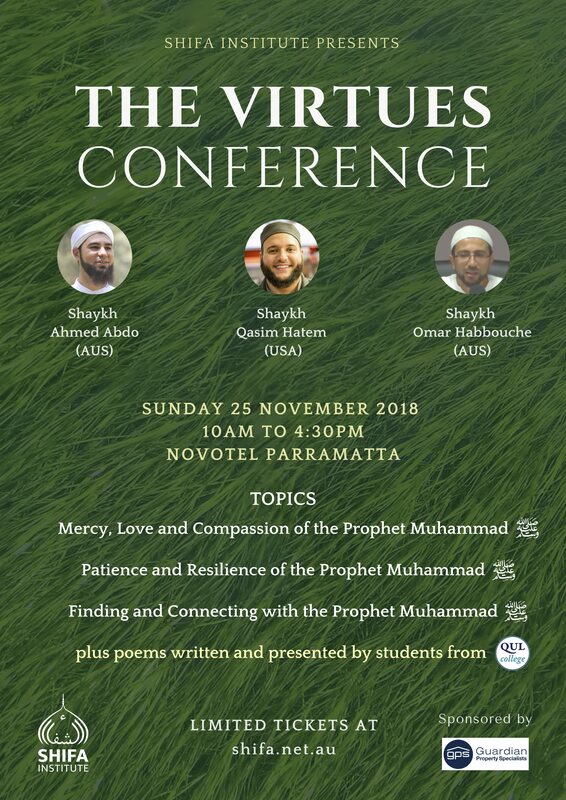 The Virtues Conference is open for both men and women. Seats are limited in number, and only available to those who register and confirm their tickets. Don't leave it too late, otherwise you might not find any tickets left. Due to the limited number of seats available, children will also need a ticket. Please note that there will not be any childminding facilities, and any young children in attendance will need to have the capacity to remain for the duration of the event without affecting the concentration of other attendees.